Authentic work is at the heart of any great classroom. When empowered, students will change the world — they just need the opportunity to do so. Although many teachers are capable of fantastic projects and dialogue, the community beckons young people to innovate and serve. the “hook”: Grabbing students’ attention through a new voice. or assessment: Giving feedback and advice to student work. And this is a considerable place to start. Our children are confined and not exposed to enough of the world. Leadership, charisma, team-building, and other social skills are best leant to (what would be) strangers. It’s one thing to grade a student’s artwork, but for a museum curator to provide critical feedback (or possibly even display it!) is quite an upgrade. This is not to de-emphasize the opinions of educators — but education should come before content for instructors, and therefore those in the industry should have a more critical lens. After all, why rely solely on those in the building to construct a great project? Why not look to outsiders to build something they know all about? Even better, why not consider making for others in the community? The prospect of clients fundamentally changes how projects are adapted in schools. Instead of making an outdoor garden, why not provide a landscaping service to locals? Rather than hanging classroom art on the wall, why not work with the local government to display fantastic civil work? There’s so much untapped potential of young people that schools are in the most advantageous position to exercise. Having a clientele shapes a students’ view of the work they’re doing. It’s no longer just a “class assignment” — it has merit and meaning (especially if money is involved.) 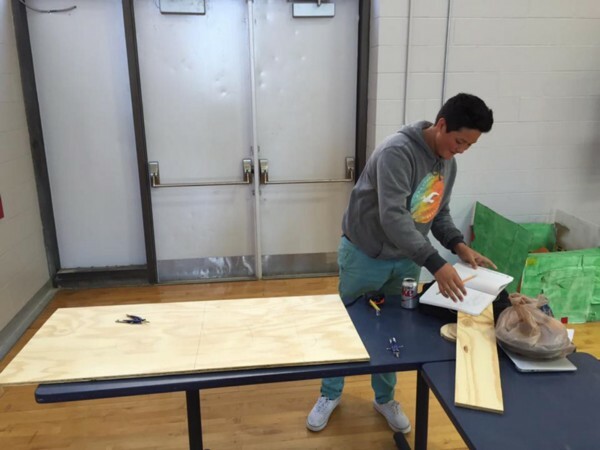 With this, it’s undeniable that more students will participate fully in what they do. Importantly, most will empathize with their projects. There’s no detachment of having to obtain a certain grade or “doing your best” — it’s doing everything possible to ensure they please their client. Furthermore, how do we equip learners with what they need to be successful? In place of solely utilizing experts once — why not issue consulting throughout the entire project? Something as straightforward as a Skype session once a week will drastically augment the learning process. People in the community are clamoring to partner. They don’t want to just fundraise — they want connections to local schools. After all, it’s free positive publicity and word of mouth for them. It’s easy enough to write about community involvement — but real integration is no doubt challenging. Once the “real world” is involved — mistakes will (and should) happen — considering that’s how life actually works. Experts will cancel, partnerships will fall through, finances will get messy, the school’s schedule will be limiting. What happens if the expert really doesn’t show up? What if you have eight periods and the partner can only visit one classroom a week? Beyond a shadow of a doubt, this will happen. However, each of these attempted steps is far greater than not bringing anyone in at all. As far as actually getting started, the search is usually easier than the implementation. And it will get better over time — the more connections you make, the greater your network expands. Look at major local businesses, public facilities, museums, parks, neighborhoods — anything you can think of, and brainstorm potential projects that may suit their needs. That’s not a requirement though, just calling up and saying, “we want to work with you!” will lead to positive results. In fact, asking what they need may be a perfect opportunity. There’s no “playbook” of community projects to grab from — authentic work means a real, non-standardized demand. Sadly, the education system runs counter to experiential learning: bell systems, required hours, financing, testing, field trip regulations, and more — but it’s up to the talented instructor to solve this problem to the best of their ability. Constant communication between administration and teacher will help alleviate any pitfalls. The worst case scenario is one tries — they fail at achieving their goal and some students benefit. Again, that’s better than nothing! Truly, using an experience like this as a teachable moment is noteworthy: how often do we allow ourselves to fail in school and actually admit/reflect on it? Nelson, McMahan, and Torres found that bringing in communal connections led to increased morale, better relationships, and lower absence rates — a better overall “school culture.” A worthwhile aside was their mention of the force at which standardized testing went against their practice. Jones noted that a focus on emotional and social engagement among students (such as reaching out to peers or the community) led to drastic increased academic performance. 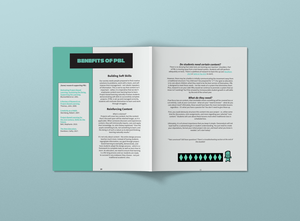 …and many, many more which you can find in our free PBL Guidebook — which features a template for planning, more researched information, and troubleshooting. It’s imperative that we do what’s best for kids — even if it goes against the system we work in. Our future generations demand a progressive, legitimate education that ushers in a new age of hands-on, research-sound, learning. Though I am an ELA teacher, I frequently find myself discussing maths with teachers and admin alike. I find there to be a great lot of intrigue and inquiry within mathematics, which is, as if by law, completely stripped from most math classes. Instead of spending time with great mysteries, rich histories and discoveries, and various paradoxes and puzzles, we drill and kill problems until the blood is drained and the spirit has vaporized leaving behind the husk of a Pearson text. It would be one thing if this was occurring and students received frequent apologies and door prizes for trudging through the experience, but that’s not at all what happens. Instead, everyone questions why these modern, young, technology obsessed, spoiled, and egotistical children don’t appreciate and understand the practical importance of the paper worksheets, or online MathXL worksheets, or Mathia worksheets, or Carnegie worksheets, or whatever other hardback or digital version you choose. It truly is all the same. To think students completing 25 problems from some self-grading software is any different than 25 problems on paper is absurd. Surely there are many math educators right now asserting that their class is nothing like this, and I believe it. However, what I see and hear (a majority of the time) falls into this pit trap. I’ve seen math consistently pushed for its “practical” nature or “usefulness”, which, for so many, is absolutely untrue. I’ve spoken with many math educators wanting more conversations in their class regarding “hows” and “whys”, but the end result is normally discussions aren’t a part of my standards or there’s no time for PBL or discussions (due to the sheer amount of content per year). It was at this moment I decided math and English should be taught together. *Sidenote: I believe math can be considered a form of rhetoric and could be taught as such. I’ve written on the matter here. There are enough studies asserting higher mathematics is unnecessary for the majority of the populations daily functions. In fact, if you give a final algebra or geometry exam to every teacher in a high school, I can promise you only a select few will be successful (I’ll let you guess that select few). And there are studies suggesting how important math is in your daily life — yet these articles only suggest basic mathematical principles taught in primary and middle school are used daily while asserting this as proof of high school math’s importance. Or this article suggesting my firm understanding of algebra, (including aerodynamics, trajectory, the formula for force, etc. ), is the only reason I am aware of my fundamental understanding of muscle control and spatial reasoning (i.e., throwing trash in a trashcan). Stop. That’s absurd. Math is exciting without it having to be further forced down our throats. Puzzles are fun. Sudoku is in many daily newspapers and purchased apps. People love building prop rockets, and gardening, and making a ship sail, and building games, and Rubik’s Cubes. Math is fun. It doesn’t need to be taught with ultimatums suggesting if we don’t continue to teach high school math in the same fashion students will never understand personal finances or be able to throw balls of paper away. Math is interesting and fun because it is. During this embedded course, there were some sacrifices. The math instructor I was working with agreed to sacrifice many standards to make room for PBL and discussions. 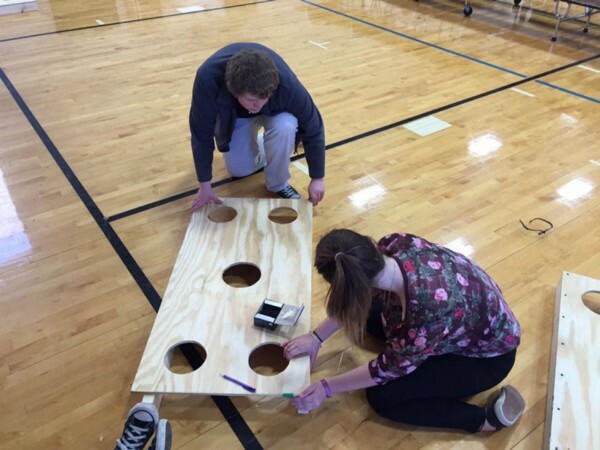 Students talked, listened to podcasts, built remixed versions of “corn hole” with soy-based products and power tools (which were not soy-based), and did just as well on their state tests and final exams as previous classes (and future classes). Students were engaged with mathematics because they were using it. We didn’t get the box of compasses and protractors out for the problems in a text, we got them out when students needed tools specific to the task they were engaging in. And we let them use those tools. They were in charge of learning. They were engaged in the aspects they found to be interesting. No, they didn’t memorize every formula from the text or software for that year; however, they seeded a long lost interest in understanding and learning the rich history of mathematics. Imagine, if you will, a scenario in which you must have your bedroom designed by any artist of your choosing. What might you do to begin? What might assist in your decision making? Would you have someone instantly in mind? Or, perhaps you would hold some type of contest in which the best and brightest would compete for the opportunity to paint, decorate, and design your new room. If this latter design were the case, how would it be judged? Would you choose the most colorful? Would you choose the artist that seemed to best relate to your image or identity? Or, might you look specifically at the various submissions assessing their merit: determining who is the most skilled artist? If this last measure were to be the case, would you ever assume the winning submission could be a drawing of a circle? No more, no less. The only thing that exists on the winning artists submitted page is a hand drawn circle. Would you declare them the winner? This is precisely what Pope Boniface VIII did (late in thirteenth century), when he needed painting commissioned for his church, St. Peter’s. Pope Boniface VIII sent a courier all over Italy in search of the finest artist: someone worthy of such commissioned work. As the story goes, the courier reached the artist Giotto di Bondone asking if he would like to submit work to be judged by Pope Boniface VIII. Giotto accepted the offer and submitted a drawing that (Giotto believed), proved greatly his talent. The courier, upon viewing the drawing, insisted that Giotto was a fool (or at least playing the courier for one). Why did the courier think this of Giotto’s drawing? Simply because all Giotto submitted was a circle: a red circle drawn freehand: a perfect red circle drawn freehand. This perfect circle (though a joke to the courier), won Pope Boniface VIII’s favor, and Giotto was chosen to complete the commissioned work for St. Peter’s church. Again, I ask, why does this matter? Allow me to answer this question with another question: do you find this story of Giotto and circles interesting? Has it given you a new perception regarding the depth of mathematics? Well, why shouldn’t this be the case? We study the history of time, America, various other countries, our language, so why not study the great historical depths of mathematics? I believe this absence of depth and inquiry within the current standards of taught mathematics has done our society a disservice. If paintings can be appreciated, as well as poetry, as well as a delicious 5 star meal, so can the Fibonacci sequence. So can pi. So can the method of exhaustion. This brings us to the here and now. This brings us to Mathematics Appreciation. In order to begin this appreciation we must discover mathematics in a new lens: a humanities lens. Consider mathematics not merely a study of numbers and formulas you are given and encouraged to repeat, but instead, view mathematics as a language that surpasses all boundaries of time and place. View mathematics as the quest for truth. Bill Carey states that mathematics most certainly has a grammar, just as language does. For instance, we know how letters, words, and sentences work. They have a concrete system or pattern. In this same way, something like long division also has a “grammar”. Long division has “presumed prescriptive notions about correct use”. So, could mathematics — knowing it has a grammar — also be considered a form of rhetoric? Interestingly enough, Carey goes on to discuss math as an artform. When writers work, they end up with a book. When painters work, they end up with a painting. When mathematicians work, what do they end up with? Carey’s response is, writing. Mathematicians work through problems to discover new methods or theories about mathematics, but they must then divulge their findings via written papers. These papers are then published in journals if they are not only correct in their math, but also, if the paper is elegant, interesting, witty, a “good read”, etc. Now, this doesn’t necessarily mean mathematics is a form of rhetoric, but it does bring us one step closer by allowing mathematics to be a subject tied directly to or even nested in the humanities. Something else I find quite interesting about mathematics (when looking at it through a humanities lens), is that math doesn’t have to be translated. Languages, to be read/understood, must be translated in languages we are familiar with. For instance, I speak no Russian at all, so, to be able to read and grapple with ideas from Mikhail Bahktin (for example), I will have to read an English translation. Now, the issue this presents is one of thought patterns. Because we think in words and symbols, our language(s) determine our perception of reality; it determines our thinking. With that being the case, the issue that arises with translation is that you muddy the water that is the original text. You put a different frame of thinking upon the text and, essentially, alter the meaning — whether done so with effort or through innocuous translation. So, when we read Bahktin and begin grappling with heteroglossia, for example, we see how this can be made doubly true via multiple lenses. If we understand heteroglossia as a form of code-switching, or perhaps we understand that a word in any language can have multiple connotations (depending on the author/speaker), this would certainly be magnified when placing the same word through a filter of various other languages. Meaning would change. The thought would change. Here lies the problem with language, thought, meaning, and ambiguity. However, mathematics seems immune. Another very interesting observation (regarding mathematics as a subject of humanities) is the notion of the “writing process” (e.g., brainstorming, drafting, editing, redrafting, finalizing, etc.). In many ways, mathematics follows this same principle, but because we don’t look at math as language, we are unable to see the merit in this. When (in math classes), students mull over simple or difficult problems, abstract or concrete problems, they are rarely given the opportunity to go through the writing process. Students — in traditional math classes — are given problems and a timer, and the more problems the student solves correctly the “better they are” at math. Imagine if this was the same for a traditional English class. Students were given prompts and a timer, and the more “well written” stories the student came up with in that time measured the student’s literacy or ability to perform well in an English course. This method seems to be effective only in one regard: giving students a distaste for mathematics. Instead, math could be viewed through the lens of the writing process. A student might attempt a problem, work through it, edit it (to see where issues arise), redraft the work, obtain a different solution, conference with peers over their attempts and solutions, and perhaps come to a somewhat final draft (all of this done with the teacher acting as a guide, not a lecturer). Granted, this tangent is moving far from the argument that mathematics is a form of rhetoric, but I do believe it is important to first argue math as a language. That will be the most difficult aspect. Once others can see this connection (between math and humanities), the idea of math and rhetoric will surely fall into place. That said, what we (as educators and creators of curricula must look to), it a mathematics appreciation course (to be continued…).